Character posters have been released for Secret of the Three Kingdoms 三国机密之潜龙在渊, the drama adaption of Ma Boyong’s novels of the same name. 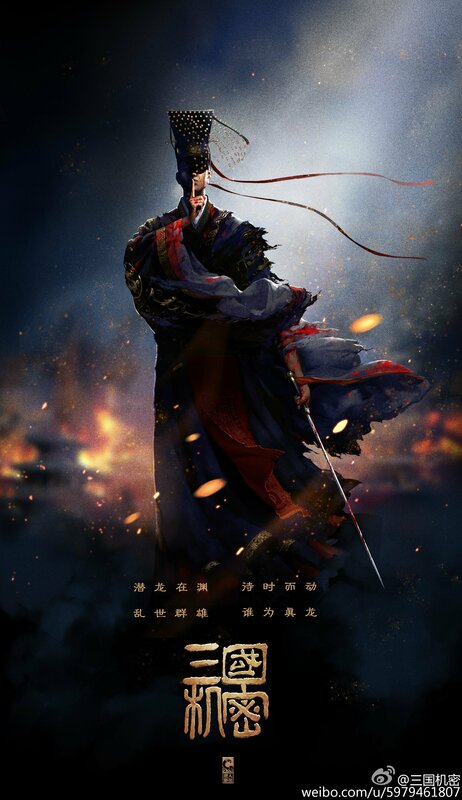 Starring Ma Tianyu (Beauty Private Kitchen), Han Dongjun (Chinese Paladin 5) and Wan Qian (Glory of the Tang Dynasty), it focuses on the power struggle between Emperor Xian of the Han Dynasty and powerful warlord Cao Cao (Tse Kwan-ho). The story begins with the birth of Consort Wang’s twin sons Liu Xie (Emperor Xian) and Liu Ping, both played by Ma Tianyu. 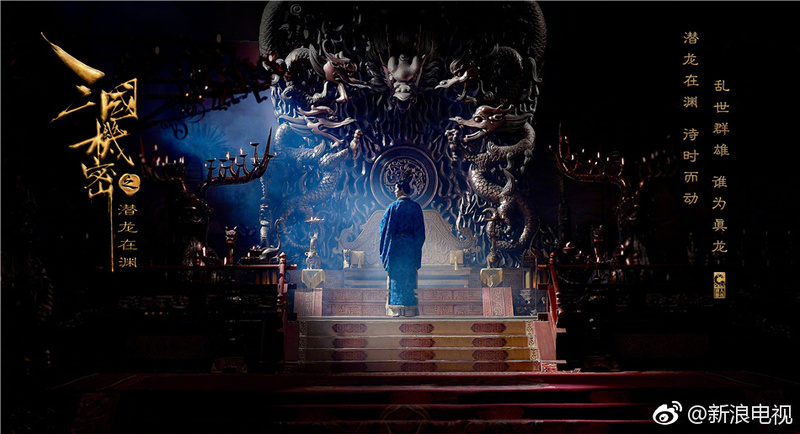 To protect her children from the scheming Empress He, Consort Wang raises Liu Xie in the palace, and orders a trusted servant to secretly take Liu Ping out of the palace. Eighteen years later, the weak-willed and sickly Liu Xie orders his brother back to the Capital, and Liu Ping is tasked with replacing Liu Xie as Emperor and saving the Han Dynasty. Cao Cao’s cunning advisor Guo Jia (Sunny Wang) begins to suspect Liu Ping’s true identity, though with the help of Sima Yi (Han Dongjun) and Empress Fu Shou (Wan Qian), Liu Ping manages to hold his ground against the ambitious Cao family. 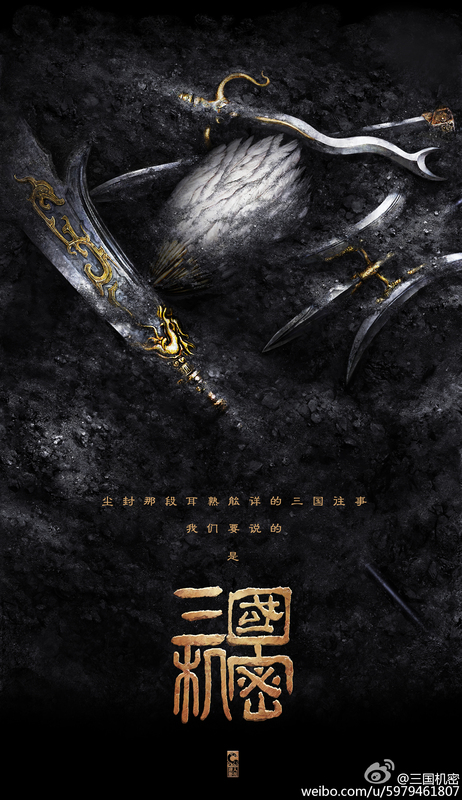 Costars include Dong Jie (White Deer Plain) as Consort Tang, Dong Xuan (Romance of the Condor Heroes 2014) as the famed beauty Diao Chan / Ren Hongchang, Tan Jianci (The Advisors Alliance) as Cao Pi and Wang Yuwen as his half-sister and second Empress Cao Jie. Secret of the Three Kingdoms is written by Chang Jiang (assistant writer in The Advisors Alliance) and directed by You Dazhi (Case on the Mekong River, Strange Hero Yi Zhimei) and Zheng Weiwen (The Imperial Doctress). Impressed by Wan Qian, Dong Jie, Tan Jianci, and Xie Junhao’s patterns on their outfits? Keep an eye out for a special installment of Sinology Sunday to learn more about them. Look interesting. Is it coming out this year or next year? Looking forward to it being release. Love love love. I saw this and thought of thus blog. It’s so pretty. Thank you!! The costume details looks amazing – hopefully they’ll be able to maintain the same quality throughout the drama.